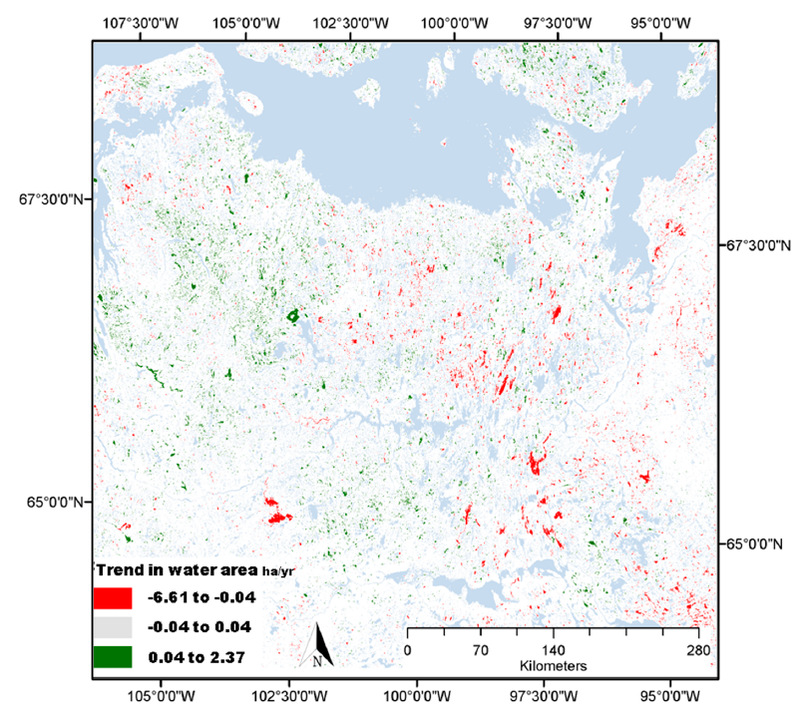 High density of Landsat observations in northern Canada enable the generation of a nominal annual surface water extent. Given the highly variable nature of surface water extent in the region we demonstrate the need for using the full time series to distinguish actual trend of change from natural inter-annual variability. Using high performance computing and the full Landsat record it is now possible to generate continent-wide surface water extent on an annual basis. This provides a consistent data record from which metrics of change can be derived. Surface water change in the Arctic is linked to carbon flux with wetting and drying of soils and to energy flux through changes in surface albedo, as well as latent and sensible heat flux. Water bodies in the Arctic tundra tend to be small (< 1 hectare) which is too small to detect reliably with other instruments such as MODIS or VIIRS which have more frequent repeat coverage. The 30 m spatial resolution of Landsat is ideal for quantifying the water bodies but temporal density of measurements is usually a problem given Landsat's 16-day repeat cycle. In the northern latitudes this is overcome by the high degree of overlap in the Landsat swaths at high latitudes. 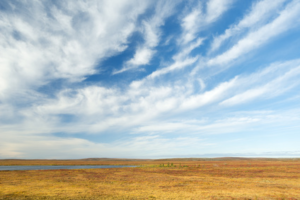 Why are some tundra water bodies increasing in size while others are decreasing? This is an open question that we are currently still exploring. The difficulty is finding additional information to relate the surface water change to—there are only four weather stations in or near my study region and those don’t all have complete data records. Ongoing work is being performed to relate surface water change to potential ecological drivers. This work is expected to be published in early 2018. This work was funded, in part, by NASA programs including Terrestrial Ecology and MEaSURES.